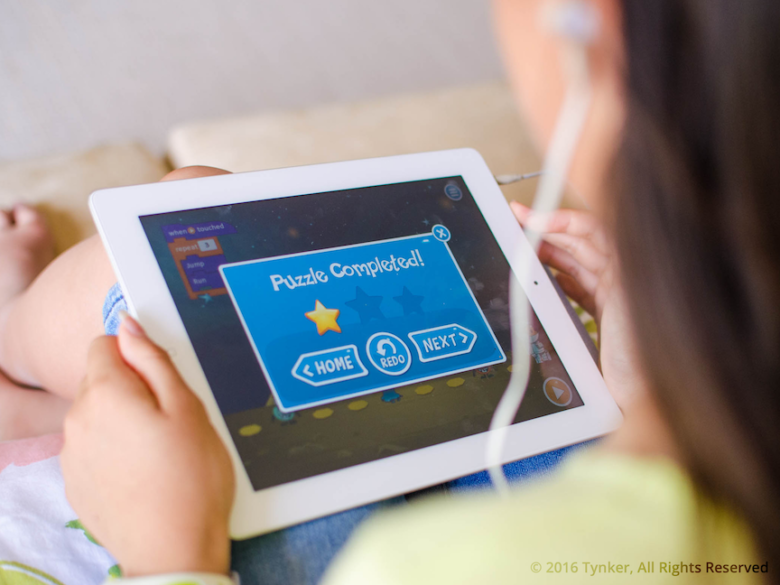 Tynker's new apps make coding fun. Kids wanting to learn how to build apps can game their way to coding skills with a new set of courses designed to making programming fun. Tynker, one of the world’s most popular coding educators, is supporting Apple’s Everyone Can Code initiative with two new games — Space Cadet and Dragon Spells — that teach kids the fundamentals of coding before graduating to Swift. While the games are intended for kids from kindergarten to fifth grade, they can be used by anyone interested in coding. Students can also transition to the Swift programming language in the Tynker app so that they become more familiar with Swift syntax. The courses contain 115 levels of coding puzzles and projects. Space Cadet, aimed at kids in kindergarten through second grade, lets future coders solve puzzles in space. Dragon Spells teaches third to fifth graders the coding fundamentals by having them train a dragon and collecting treasures.